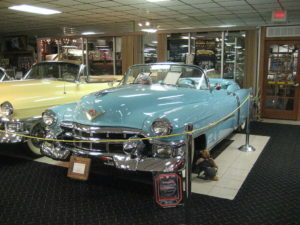 Eldorado was a personal luxury model from Cadillac. This model also was the one that had the longest run in the American market.The Eldorado model was the only one sold after the 1998 model year. It was part of the Cadillac line of models from 1953 to 2002 and its main competitors was Buick Riviera and the Mark Series. The name ‘Eldorado’ is Spanish and translates to ‘the gilded one’. The South American Indian tribe chief also had this name It has been said that this chief would wash off the gold dust that was sprinkled in his body by diving into a lake during a ceremony. Another origin of this name are the cities of fabulous riches in South America which inspired European expeditions. The name ‘Eldorado’ was proposed for a very special show car built in 1952 for marking Cadillac’s Golden Anniversary. Actually, it was the result of an in-house competition that was won by Mary-Ann Zukosky (married name = Marini). Mary-Ann was a secretary in the company’s merchandising department. It is also worth mentioning that Palm Springs Life magazine, attributes the name to a resort destination in California’s Coachella Valley that was a favorite of General Motors executives, the Eldorado Country Club. Anyway, the name was adopted by the company for a new, limited-edition convertible that was added to the line in 1953. The Cad models named Eldorado were always near the top of the manufacturers product line although cars bearing the name varied considerably in bodystyle and mechanical layout during this long period. Nevertheless, with exceptions for the Eldorado Brougham models of 1957-1960, the most expensive models were always the opulent, long wheel-based “Series 75” sedans and limousines. In 1992, a new Eldorado appeared. It was slightly bigger than its predecessor, but it was so much more adroitly styled that it seemed greatly so. The window glasses were once again frameless, and shortly after introduction Cadillac’s excellent new Northstar V8 became available. This combination of sleek styling and increased power seemed more like the great Eldorados and this got good reviews for this model. The sales went up, though never again at record heights. People who purchased this preferred the four door model Cadillac Seville, a trend that was clearly indicated by the sale figures. 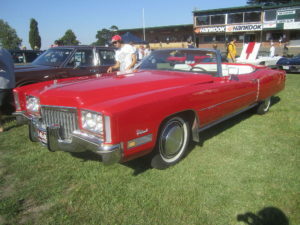 This automobile continued for the rest of the decade with incremental changes and moderate sales., Its former running mates Toronado and Riviera were discontinued at this time and by the end of the century it was becoming clear that the end of the Eldorado was probably coming as well. Some minor exterior updates were done for the Eldorado in 1998 as well as a revised interior. Cadillac announced that they would end production after the year 2002. Well, this was not just said but done as well: The final ETC model became the most powerful model with an 300 hp engine with front wheel drive. Well, that’s not hundred percent true though, because a few cars were produced to mark the end of this proud model in April 2003, cars that were produced in the 1953 convertible colors of red and white. An honorful end of a wonderful car. Terry Bolton is a writer and internet publisher who likes to publish automotive articles like convertible cars and related issues. Read more at the website http://www.1st-in-convertibles.com.